ITF Scotland’s Technical Training Seminar will be held on Sunday 23rd November from 12 noon to 3pm. 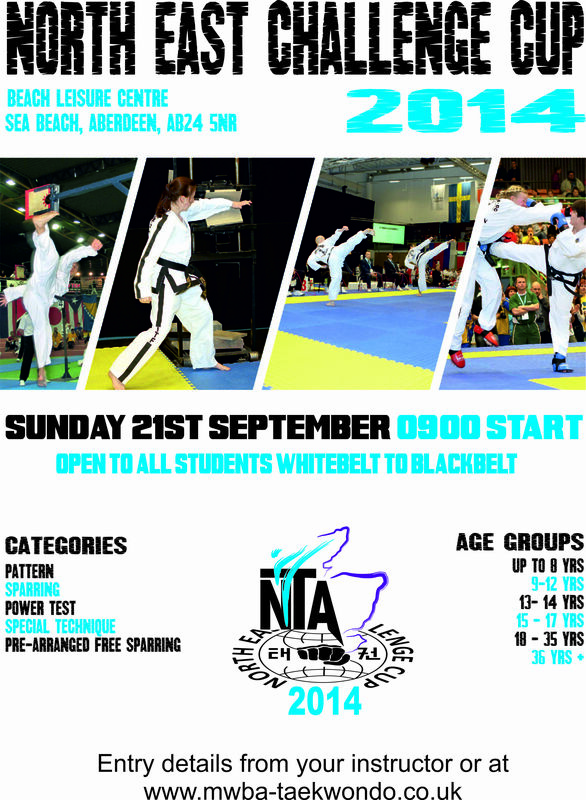 This event is open to 3rd Degree’s and above, and will be taught by the ITF Scotland Technical Committee. National Squad Training will resume from Sunday 12th October 2015. The sessions will run on a weekly basis unless otherwise advertised until selections for the ITF World Championships in Jesolo, Italy, May 2015. Those who wish to try out for the team selection should attend these weekly sessions. Full list of scheduled October dates can be found below. Further dates to end of 2014 will be posted on the National Team Page of the website. 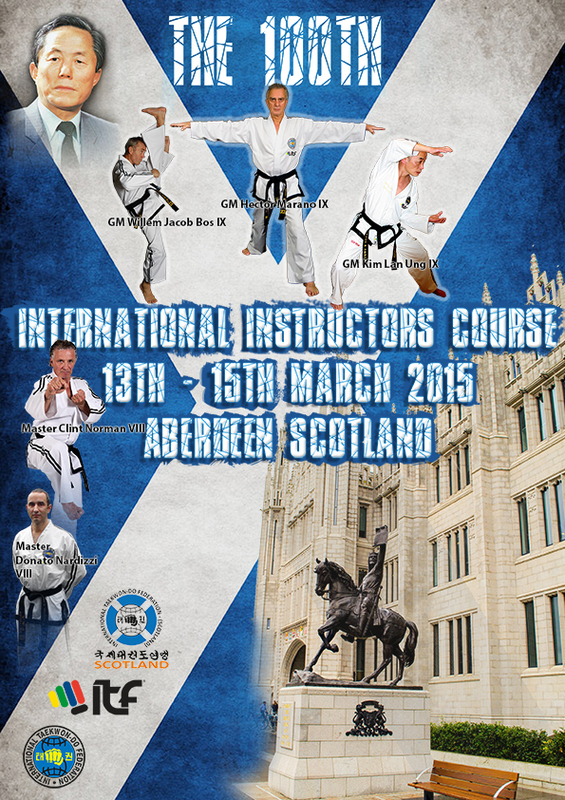 On behalf of our Grand Master, Masters and Instructors of the International Taekwon-Do Federation – (Scotland) we are truly honoured to invite you to the 100th International Instructors Course (IIC), to be held in Aberdeen, Scotland, on March 13-15 2015, where the IIC Organising Committee for Scotland eagerly awaits to welcome the ITF Technical Committee of Grand Master Marano IX, Grand Master Bos IX and Grand Master Lan IX to the “Granite City” in North East of Scotland and also ITF Kids Programme Chair; Master Donato Nardizzi VIII. We also will be very privileged to host Master Clint Norman VIII, President of ITF Canada, who will be assisting the Grand Masters on the Course. 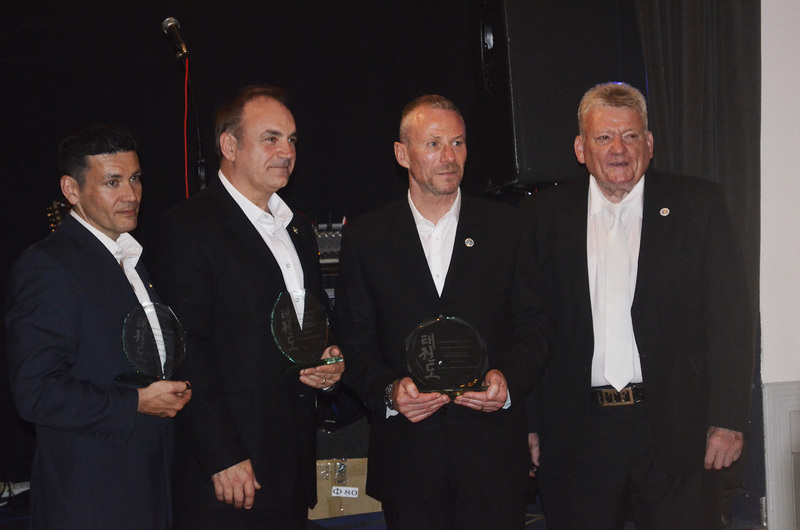 This is a momentous occasion for the ITF and for the ITF Technical Committee to have reached the milestone of 100 IIC’s, is truly a remarkable achievement for our ITF and its’ pursuit of excellence. As such we are thrilled that our President Grand Master Tratjenberg will also be in attendance along with the ITF Board of Directors. 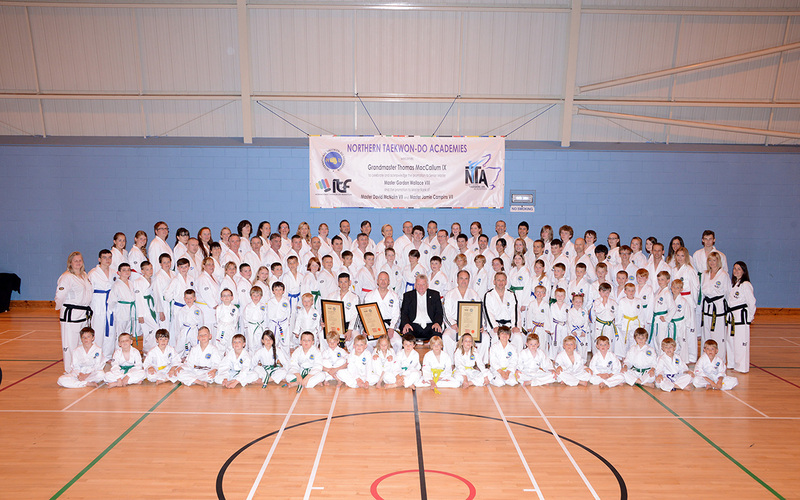 It is also a momentous occasion for my hometown of Aberdeen, situated in the North East of Scotland, to have this milestone of excellence and we are truly humbled by the honour and we extend our welcome to our Taekwon-Do family here in Scotland and around the World to this 100th International Instructor Course. 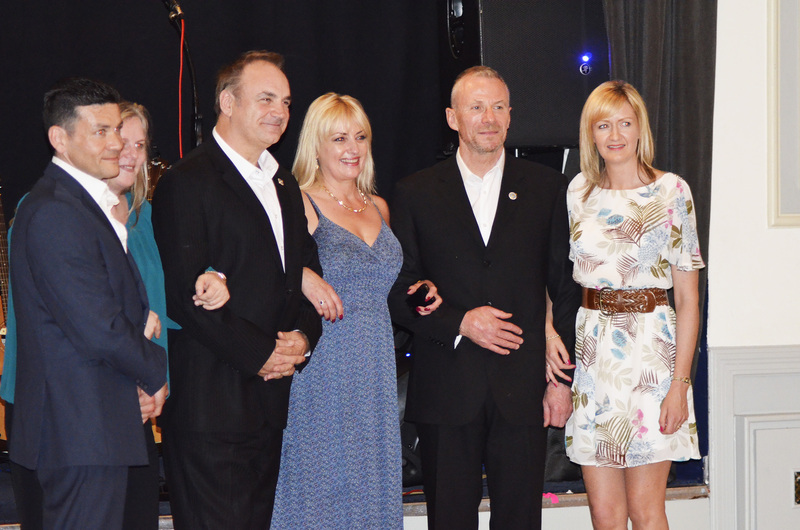 is very synonymous with our friendship within the ITF and its many events when we all come together, but this time it is very special to us as we are your hosts for this very special weekend and we hope you can make the journey to this lovely part of Scotland. An agenda will be forwarded to all plaque holders prior to the AGM. 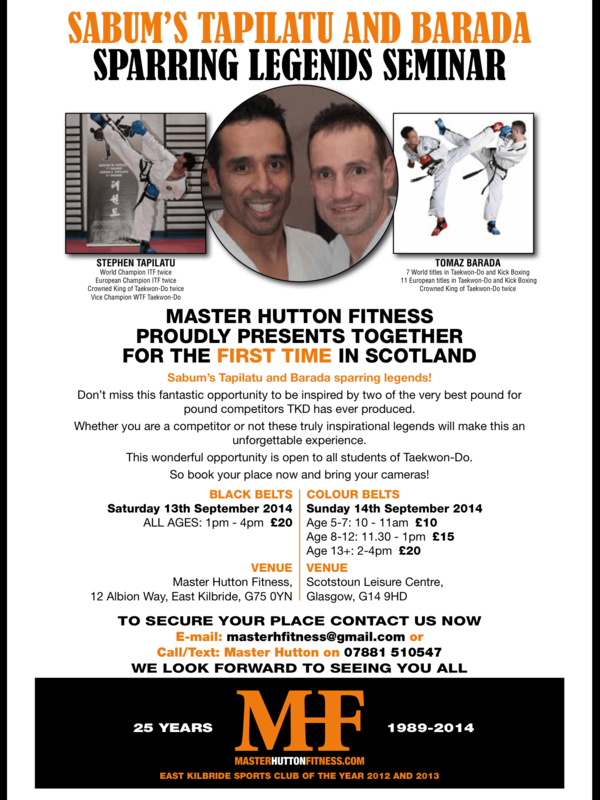 Master Hutton Fitness proudly presents together for the first time in Scotland Sabum’s Tapilatu and Barada sparring legends! Don’t miss this fantastic opportunity to be inspired by two of the very best pound for pound competitors TKD has ever produced. Whether you are a competitor or not these truly inspirational legends will make this an unforgettable experience. This wonderful opportunity is open to all students of Taekwon-Do. So book your place now and bring your cameras! ITF Scotland National Squad Training sessions return this Sunday 17th August in preparation for the ITF World Championships and European Championships 2015. The sessions will be held at GMAC Martial Arts, Craigshill Road, Craigshill, Livingston, EH54 5DT. The 2014 North East Challenge Cup will take place on Sunday 21st September at Beach Leisure Centre, Sea Beach, Aberdeen, AB24 5NR. This competition is open to Taekwon-Do Students only. There will be four individual and one team event contested; Pattern, Sparring, Special Technique, Power Test and Pre-Arranged Free Sparring. Information Pack can be found below alongside Entry Forms and Instructor Application Details. 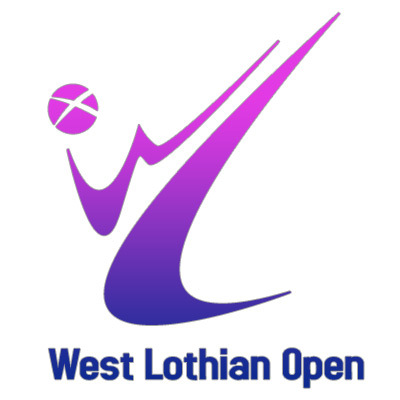 The 2014 West Lothian Open Championships will take place on Saturday 30th August at Aramadale Academy, West Lothian, EH48 3LY. 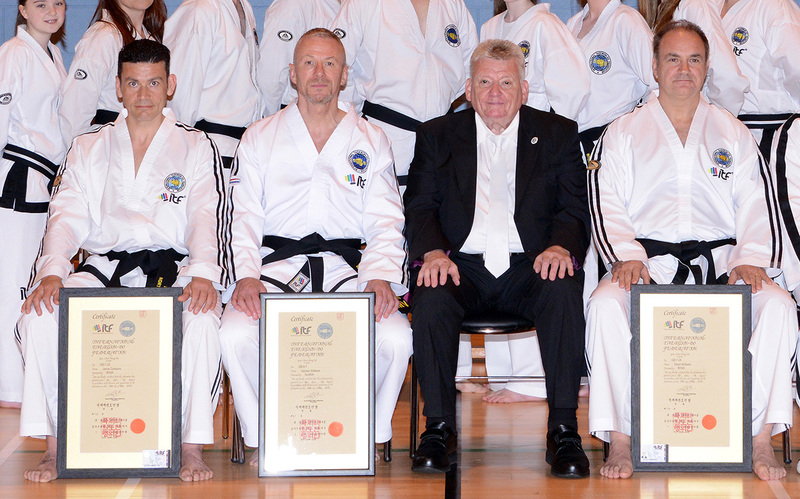 Saturday 14th June was a very special for Northern Taekwon-Do Academies (NTA), affiliated to ITF Scotland, as it celebrated the recent promotion at the 92nd IIC in Dublin 2014 of three of its senior instructors to Master level. Master Gordon Wallace VII was promoted to VIII degree; Mr David McNairn and Mr Jamie Campins were both promoted to VII degree master. To have one promotion local or national for that matter is very special, but to have three is extra special and some thought once in a lifetime. 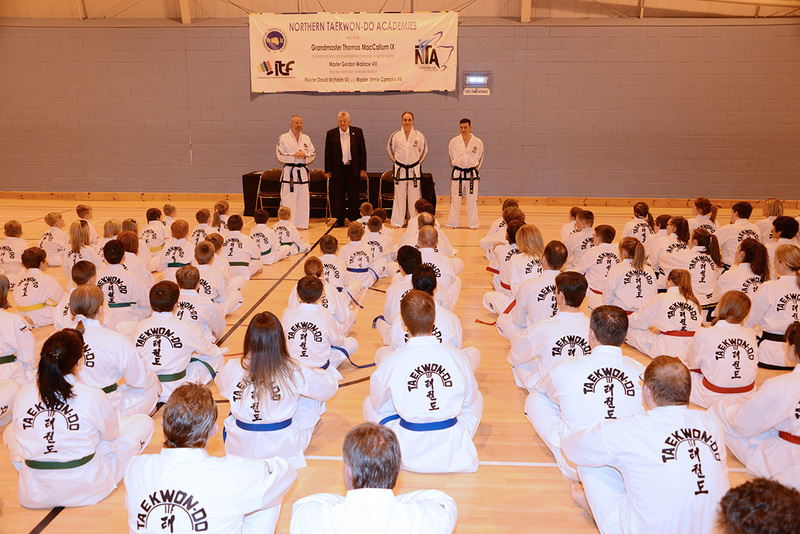 To make this presentation of certificates and belts an occasion to reflect the significance of the event, NTA invited guest of honour Grandmaster MacCallum IX to our Masters Presentation to make the presentations formally and in front NTA students and parents. Master Wallace introduced our guest of honour and Grandmaster MacCallum gave an opening address about his personal history and lifetime experiences in Taekwon-Do. Following the address, the certificate presentations took place along with the masters’ new belts which they were extremely happy to wrap around. Each recipient then gave a short speech about their lifetime’s achievements and memorable moments and in some cases the memories were quite emotional especially when Mr James C Scott was mentioned and how happy and proud he would have been to see Mr McNairn the last of his students gain 7th degree master. To give a little background here Mr James Scott was the instructor of Elgin and Cupar schools of Taekwon-Do and died at the age of 41, a IV degree. Mr Scott has five masters as his legacy; Master JF Williamson VIII, Master G Wallace VIII, Master M Thompson VII, Master S Dunbar and now Master D McNairn VII, all of whom are still practicing. Following the presentations and speeches, students and parents were given the opportunity to ask the four masters questions. This proved to be very popular and really could have lasted for hours. The formalities finished with an NTA group photograph and afterwards the masters were available for a signing session on belts, books etc. to mark this unique occasion. The presentation lasted three hours and finished at 5pm whereby the Invited guests masters, instructors all went out to have meal and what was thought at the time the conclusion of the day. The meal was very nice, Italian of course, and as the food digested, the ties were removed and digestifs received in the form of malt whisky, selected by Master McNairn, were ordered. It was “agreed” by certain members of the meal that we would accompany GM MacCallum back to his hotel and have a nightcap with him before saying goodnight. That was the plan….However further deviousness unfolded as the wives had been busy bees and organised a very, very sneaky reception party at the hotel GM was staying and the special day continued on into the night. 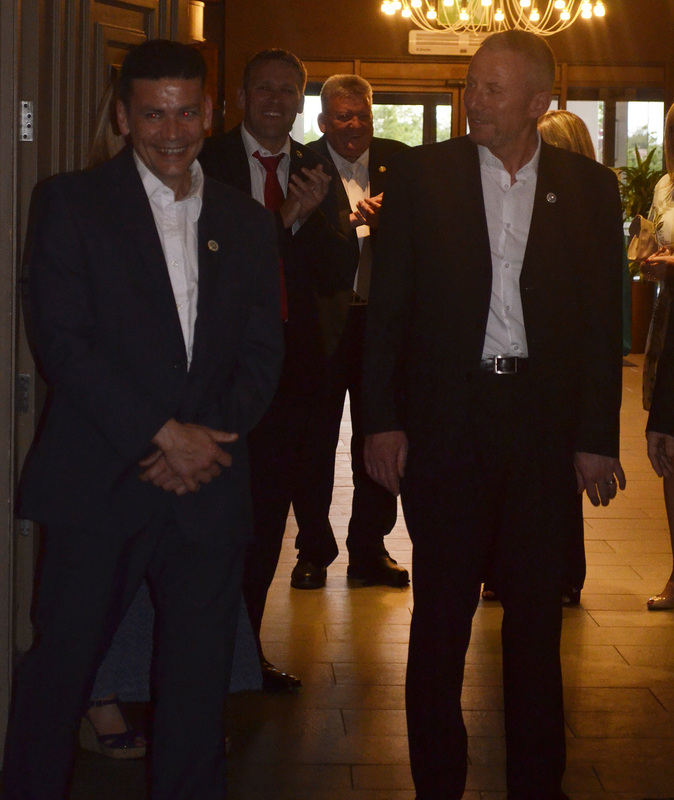 After regaining some composure, the already relaxed masters with no ties, looking like extras out of a Quentin Taratino movie, joined the party. Once all inside the room, Mr Mark Boydell V degree became Master of Ceremonies began with the unveiling of the party conspirators. What followed was the acceptance of commemorative plaques, and in addition personalised individual celebration cakes!! 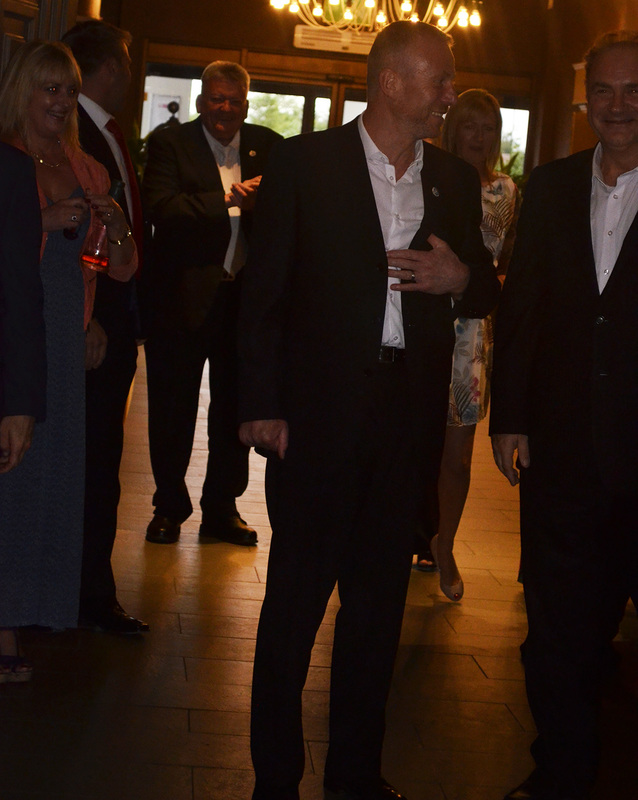 After much toasting and hand shaking, everything relaxed into a very informal time for all. Selfies were a plenty and the party was a great success and ended a very special day and on speaking on behalf of the masters, one that will be very special day in our Taekwon-Do journey. Our special time started in Dublin, continued with all the lovely comments on Facebook, the presentation reception and the closing party. So in closing this celebratory chapter in our careers, we would like to thank everyone who had a part in it, from the ITF promotions Committee, GM Marano and GM Bos in promoting us, to GM MacCallum in taking time out to make the journey north and make our presentations special, to the party organisers and friends on Facebook who made some lovely comments and those who gave us a “like”, for all the efforts and kindness shown to us by our students in NTA, thank you, you made it a very memorable time. On behalf of ITF Scotland Board of Directors we would like take the opportunity to congratulate the following senior members who were promoted on Saturday 24th May, during the 92nd IIC held in Dublin, Ireland. The grading panel consisted of ITF Technical Committee members; Grand Master Morano IX Degree, Grand Master Bos IX Degree and Grand Master Lan IX Degree. A full gallery of picture’s taken over the course of the IIC can be found in our Gallery and via the Facebook page. Photo’s courtesy of Mr. Dewhurst and Mr. Doyle.